2019 Youth Troupe Summer Institute. 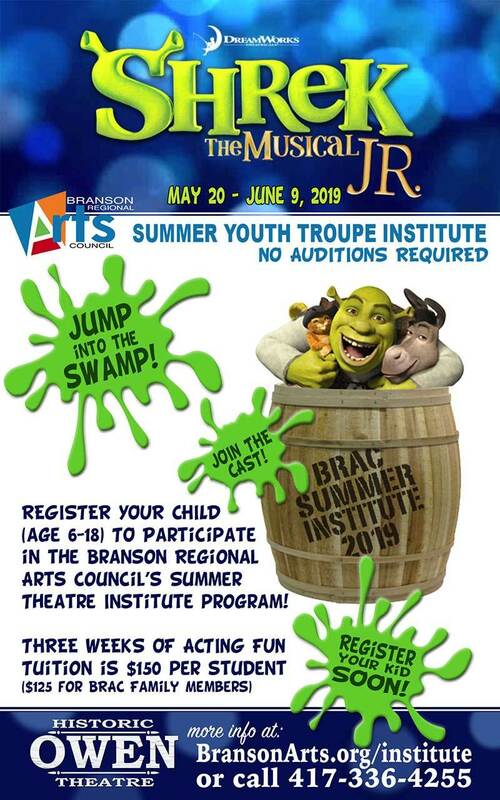 Register your child (ages 6-18) to experience the Branson Regional Arts Council's summer theatre camp at the Historic Owen Theatre in Branson. 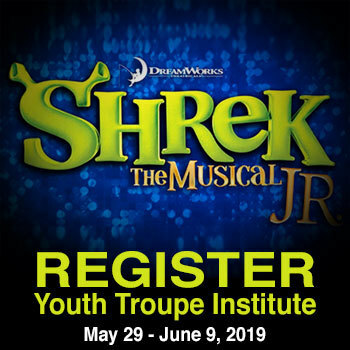 Learn acting, singing, dance, stage movement and more, then participate in a great public performance of Shrek The Musical Jr.